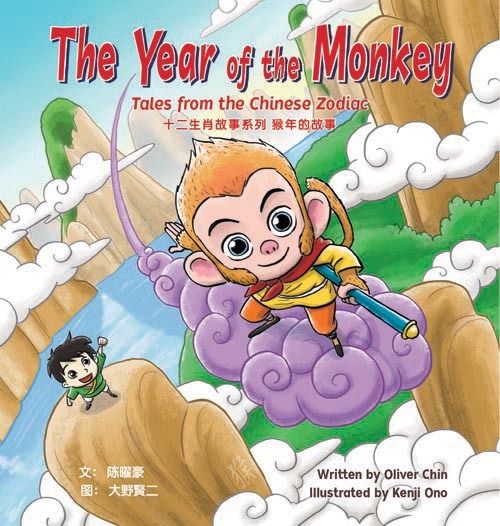 The Year of the Horse: Tales from the Chinese Zodiac by Oliver Chin with illustrations by Jennifer Wood, Immedium, 2014. 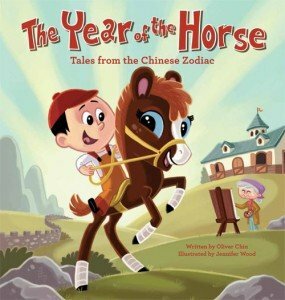 Ring in the 2014 Chinese New Year with Oliver Chin’s The Year of the Horse: Tales from the Chinese Zodiac (Immedium, $15.95, Ages 3-8), illustrated by Jennifer Wood and reviewed today by Ronna Mandel. Did you know that the Chinese New Year is a 15 day holiday based on the movement of the moon, and is organized in cycles of 12 years? The way the years get named comes from the Chinese zodiac which is made up of 12 animals, each with unique qualities, and each belonging to certain years. I discovered that I was born in The Year of the Dog, but that’s a whole ‘nother story! The Chinese culture believes that if your birth year falls under a particular animal, both you and that animal should share the same personality traits. Interior artwork Copyright © 2014 Jennifer Wood from The Year of the Horse: Tales from the Chinese Zodiac, written by Oliver Chin, Immedium, 2014. In The Year of the Horse, ninth in the Tales from the Chinese Zodiac series, readers will meet Hannah, a foal and Tom, the boy who befriends her. Together the two play whenever they can and grow close as Hannah grows stronger. When Tom’s teacher Lao Shi is requested to paint something special for the Governor, she worries how the artwork will be delivered to the capital so far away. 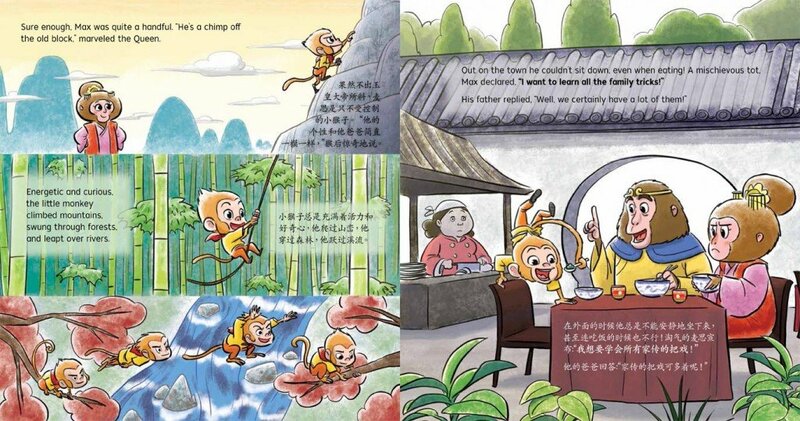 Tom volunteers, but Lao Shi tells him, “The journey is too long and wild to walk alone … Someone must go with you.” Since the picture book is titled The Year of the Horse, it may come as no surprise then to children that Hannah is eager to be considered capable of the task and partner with Tom on the journey. However, getting to the capital safely is not easy. Hannah’s parent advise her, “Dear, keep on the path and stay alert.” And while both Tom and Hannah are responsible, little do they know what challenges await them on their trip. Wood, an animation designer at Nickelodeon, brings her vivid, kid-friendly style to The Year of the Horse, making every page feel like a scene from a TV show. 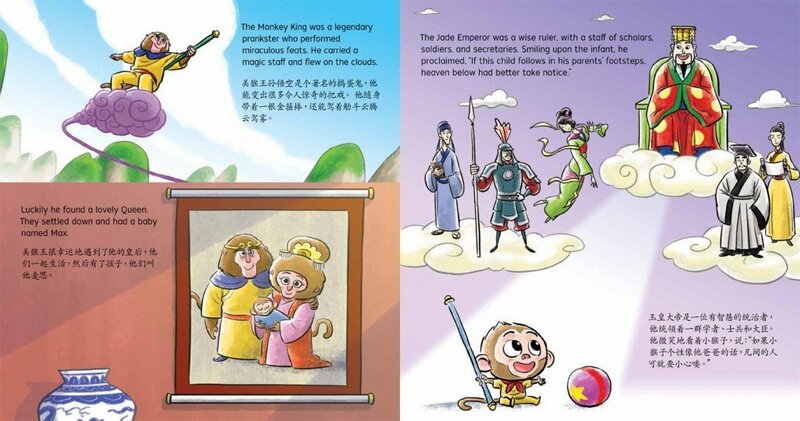 Kids will love the look of the various animals included in the story including an ox, a dog, a sheep, a dragon, a tiger, a snake and a monkey. They’ll also get easily caught up in the adventure Chin’s created. After some very close calls, Tom and Hannah arrive at the capital and deliver to the Governor the scroll Lao Shi’s painted. Once home, the two are welcomed and cheered. Hannah’s displayed valiant spirit as has Tom. They “blazed their own trail” and succeeded. No wonder the Year of the Horse celebrates their derring-do. 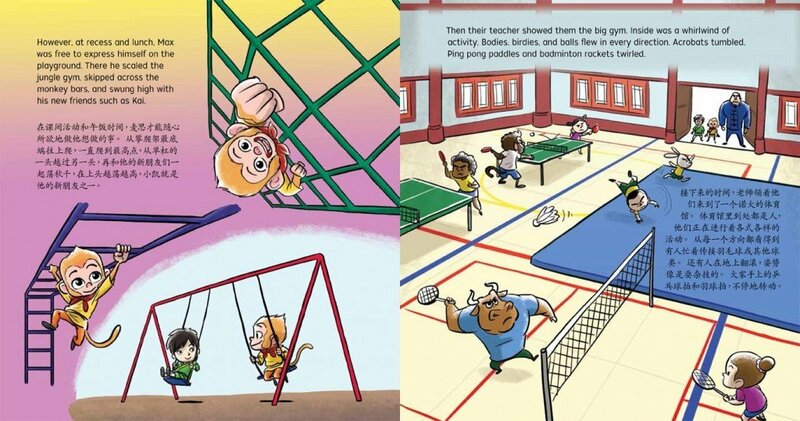 I loved the positive “can-do” message the book conveyed, and though our kids are not going to be sent on such a mission, they’ll enjoy the vicarious experience and understand the pride that Lao Shi and Hannah’s parents feel about the pair’s major accomplishment. Get the app for your iPad from iTunes, too!